From September 2015, Ofsted set out the principles that apply to inspection and the main judgements that inspectors make when conducting inspections of maintained schools, academies and non-association independent schools as well as further education and skills providers and registered early years settings. This can be seen in the Common Inspection Framework and Ofsted Guidance on Inspecting Safeguarding. There is an emphasis on impact across all key judgements. One of the key areas will be inspecting impact of the culture of the school and the importance of safeguarding will run as a common thread throughout all judgements, including the testing of leaders’ work to meet the new Prevent Duty. As ever, there will be ample focus on the importance of a broad and balanced curriculum. And most notably, there is a brand new judgement on personal development, behaviour and welfare. Lastly, there will be an alignment of the judgements on early years and 16-19 study programmes. Before making a final judgement on overall effectiveness, inspectors must evaluate the effectiveness and impact of the provision for pupils’ spiritual, moral, social and cultural development. Discovery RE ensures that SMSC is mapped across every 6 week set of planning, and for every individual lesson for the Early Years Foundation Stage. In each enquiry the children’s spiritual development in particular is supported through opportunities to both explain what they consider a believer of that religion may feel in answer to a big question, but also in considering how the learning has impacted their own view on life and their behaviour. Other cultures’ stories and celebrations (such as Chinese New Year and the Persian festival of Nowruz) are considered as well as religions. Big questions on issues such as forgiveness and commitment form the basis of the enquiries, and opportunities to enhance social skills can be maximised by the teacher in their management of the discursive and investigative elements. The enquiry approach intrinsic to Discovery RE offers benefits to the curriculum as a whole in the critical thinking skills it teaches the children which are transferable to other subjects. Children become confident questioners who learn to reach conclusions and support them using evidence from their investigations. Inspectors will make judgements on the effectiveness of leadership and management by evaluating the extent to which leaders, managers and governors provide learning programmes or a curriculum that have suitable breadth, depth and relevance so that they meet any relevant statutory requirements, as well as the needs and interests of children, learners and employers, nationally and in the local community. The depth of questioning and analysis in Discovery RE has been demonstrated to challenge children and bring about a highly mature ability to discuss and debate evidence. 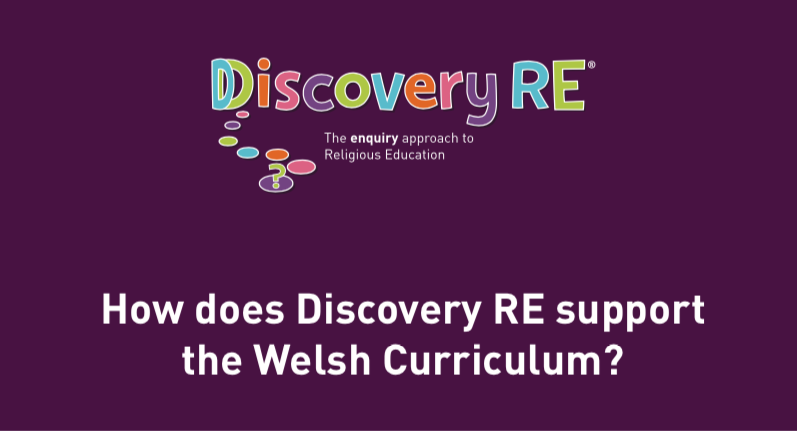 As a scheme of work for primary religious education, Discovery RE is mapped to most locally agreed syllabi and fulfils guidance from the Religious Education Council. We believe that Discovery RE encourages children to think about and grow in their own personal beliefs, discovering their own spiritual and moral code and supporting them to feel secure in this as they continue to mature and develop in the future. As far as an RE scheme of work can, this ensures that ‘all children get a good start and are well prepared for the next stage in their education, training or employment’. 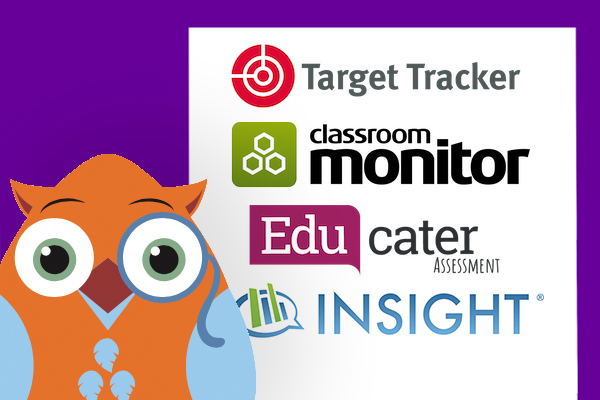 Although not treated as a core subject, except by Church Schools, implementing the assessment process within Discovery RE can ensure that outcomes for learners are fully documented through both the recording of work and using the provided assessment activities and age-related expectations. Although the planning is medium term, expectations are explicit and should show ample evidence. Just ensure that this work has been marked as directed by your school’s marking policy and as formally as your core subjects! This will evidence high-quality outcomes in both written work and the progress made across the enquiry, as well as proving progress across both year groups and key stages now in line with the “towards, expected, exceeded” three tier assessment system used in many schools. Inspectors will examine the quality of teaching and learning along with assessment. The medium-term nature of the Discovery RE scheme of work, allows teachers to put their own stamp of creativity and differentiation on individual lessons whilst still following the overarching plan of investigation, and being supplied with the necessary factual resources to ensure that the teaching content is correct. Discovery RE naturally supports the extension of the more able learners in its enquiry-based, open-ended format as teachers can allow a mastery approach to learning during the investigation stage of each enquiry which learners can then demonstrate in the assessment. Teachers need to have a secure understanding of the age group they are working with and have relevant subject knowledge that is detailed and communicated well to children and learners, and Discovery RE provides an effective way of supporting this through its age-appropriate planning. The “expression” lesson at the end of each enquiry allows a great degree of freedom for all children to have some choice in expressing their learning throughout the unit at a personal level, thus ensuring inclusivity. It allows children to express their thoughts and feelings in other ways than writing, whilst still demonstrating the depth of their learning and its impact on their own SMSC and personal development. Schools will need to actively promote equality and diversity in order to satisfy inspectors. With its coverage of the six principal world religions plus links to Humanism where appropriate, Discovery RE ensures that children have an understanding and respect of those with beliefs different to their own, and that diversity is explored and celebrated, drawing together both the differences within and between religions, and also their overarching and underpinning similarities. British Values are now integral to the Ofsted framework and schools will be inspected on how they are actively promoting them. Discovery RE has been mapped against the British Values and this demonstrates that every enquiry substantially contributes to them especially the value of “mutual respect and tolerance of those with different faiths and beliefs”. Safeguarding arrangements are inspected to ensure that children and young people are protected and that the school meets all statutory and other government requirements to promote welfare and prevent radicalisation and extremism. Due to the personally introspective elements of the four step enquiry model, children have the opportunity, explicitly at the beginning and the end, and implicitly throughout the enquiry, to reflect on what the learning has meant to them and their emerging and developing personal beliefs. Because Discovery RE allows children time to reflect in order to form their own conclusions whilst learning about the religion concerned, it does not indoctrinate. Instead Discovery RE encourages children to become more secure in understanding who they are and lays a sound foundation on which to build discussions about different ideologies which can then enable children to challenge extremist beliefs they may encounter, or any stereotyping of that religion from the media and other sources. Because they have the skills to question and empathise with what a believer of that religion may feel, they should be able to recognise when that belief is being misrepresented. Although inspectors will not provide a separate numerical grade for this key aspect of a provider’s work, they will always make a written judgement under leadership and management about whether or not the arrangements for safeguarding children and learners are effective, and this can include how well the school is tackling the issue of radicalisation. Pride in achievement and commitment to learning, supported by a positive culture across the whole provider.The creation of both the Discovery RE journal to showcase the children’s work throughout the enquiry, plus the creative elements often included in the first and last lessons, can demonstrate the children’s pride in their work and evidence their commitment to learning across the time of that enquiry. Self-confidence, self-awareness and understanding of how to be a successful learner.Whilst these attributes are not quickly taught or learnt, the “no wrong answer” approach to the big questions posed in Discovery RE can support learners in being more confident to have a go, greatly aided by the Discovery RE Owl Crew. What they learn through investigation, and then have the opportunity to both discuss and apply to their own lives, supports their self-awareness of their own developing belief structure and spirituality. Marking and assessment will support teachers and children to understand their success towards the attainment criteria and help to identify any steps in development needed to become more successful learners. Prompt and regular attendance.In analysis of Statutory Inspections for Anglican and Methodist Schools, it has been noted that children enjoy their Discovery RE lessons, with one report stating that children refer to it as their “stand out lesson” of the week. This demonstrates that a consistently taught RE lesson with exciting activities and meaningful learning can contribute to children’s desire to attend school. Following of any guidelines for behaviour and conduct, including management of their own feelings and behaviour, and how they relate to others.The development of self-awareness through the reflective aspects of the planning, and the social skills needed to discuss and debate investigation findings and differing points of view enable children to practice managing their feelings in a safe space where they might not agree with another. The subject matter and the fact that every enquiry starts in the children’s own experience allows them to experience empathy with a person of that faith in dealing with such a question. These skills can be built upon within the school and the experiences used to support behaviour management techniques and to combat any issues in relating to others who are different to them. Understanding of how to keep themselves safe from relevant risks such as abuse, sexual exploitation and extremism, including when using the internet and social media.The fair and accurate representation of each religion studied in Discovery RE ensures that children will be more aware of inaccurate misrepresentations of that faith and therefore more likely to identify where there are dangers of radicalisation. As part of the enquiry process, children start by considering how they themselves feel about the big question being studied in that enquiry. This will then allow them to more clearly understand and respect the issues faced by that believer. In order for the investigative and discursive elements of the enquiry to be successful, teachers must ensure there is a safe, open and positive learning environment based on trusting relationships between all members of the class. If your school uses Jigsaw, the mindful approach to PSHE, your Jigsaw Charter would be a good vehicle to ensure this. So it can be seen that Discovery RE can really support schools in answering the challenges of the Ofsted Inspection Framework. Don’t forget to record and inform your inspectors of all the great SMSC that Discovery RE contains as well as its contribution to both British Values and tackling radicalisation, and make sure that there is consistency across year groups and the school in marking RE books or Discovery RE Journals to the same standard as other subject expectations. If more support is needed with monitoring or leading the subject to achieve this, please see our Subject Leader’s Manual in our online shop.